THE DEPARTMENT of Lands and Surveys reports that the number of property sales contracts deposited at Land Registry offices across Cyprus in February 2018 rose 46 per cent compared to February 2017. This rise follows a rise of 64% in January, 36% in December, 39% in November and an 18% rise in October. During February a total of 666 contracts or the sale of residential and commercial properties and land (building plots and fields) were deposited at Land Registry offices across Cyprus, compared with the 456 deposited in February 2017. This is the highest number of contracts deposited during February since 2010 when 704 contracts were deposited. 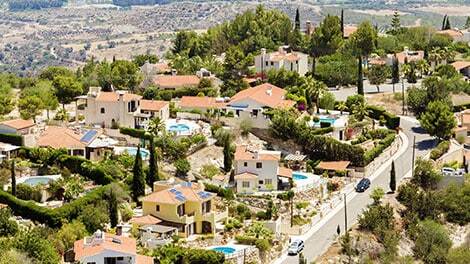 Although sales in Larnaca fell by 1%, they rose in all the other districts. In percentage terms Famagusta led the way with sales rising by 174% followed by Paphos, where sales rose by 87%. Meanwhile sales in Limassol and Nicosia rose by 45% and 32% respectively. During the first two months of 2018 the number of contracts for the sale of property deposited at Land Registry offices has risen 55% to 1,361 compared to the same period last year. The highest rise of 150%, was recorded in Famagusta, followed by Paphos with a 79% increase. Significant increases were also recorded in Nicosia (67%) and Limassol (56%), while the smallest increase (4%) was recorded in Larnaca. Of the 666 contracts, 306 (46%) were deposited by domestic (Cypriot) purchasers, while 54% (360) were deposited by overseas (non-Cypriot) purchasers. This is a very sharp increase in the number of overseas sales and is difficult to understand. The Department also suggests avoiding comparing 2018 foreign buyers’ statistics with earlier years. Hopefully details will be forthcoming before March figures are published. You don’t need your title deeds to sell. Ed: That’s true, but given the many potential problems faced by those who buy a property without its all-important Title Deed most people will restrict their search to properties with a full, unencumbered Title Deed. Property prices on Cyprus are stilll reasonable compared to other European countries, the rental returns are very good making investments worthwhile. Remember no title walk away!